in Nightclubs / Pubs / Private Gardens. expertise and equipment for any event and size of venue. 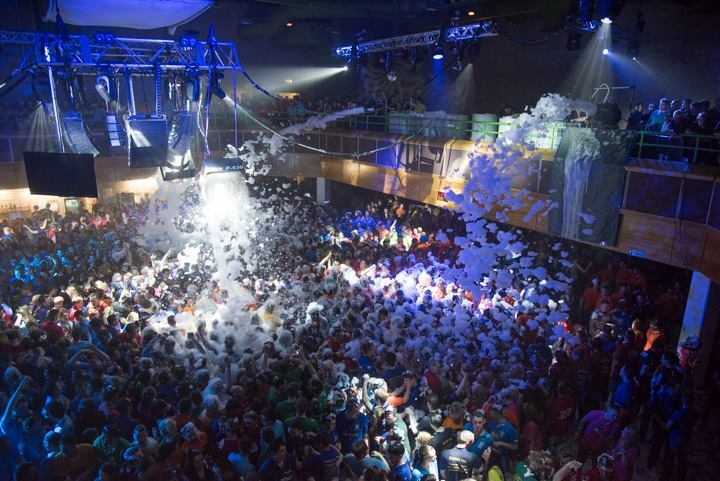 The Ultimate Foam Party Experience. Scented Foam Parties and the ultimate in UV experience, UV Bubble and Foam parties. to suit all requirements, including foam clean up service if required. > Booking confirmation advice and guidance before, during and at the end of the night. > Completion of full HSE Risk assessment for your venue on arrival. > Safety Signage / Declaimers Provided and COSHH report for the products we use. > Communicate with manager & head doorman relating to health and safety. > Communication with DJ as to Foam timings. UV Paint Parties to our nightclub and event hire offering. we are able to offer a selection of venue filling paint party packages. We can even clean it all up afterwards for you. Keep in touch, Find us on Facebook.